The Beaux Arts Alliance is a not-for-profit organization founded to celebrate the many cultural links between the United States and France. Among its many interests is the connection between French and American architecture in the years between the 1880s and the First World War when Paris's Ecole des Beaux-Arts was the center for aspiring American designers. 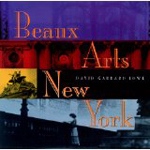 Led by President David Garrard Lowe, the Beaux Arts Alliance is also interested in the fields of fashion, food, painting, literature and music. The Alliance sponsors lectures, walking tours, trips and exhibitions, and is also involved in historic preservation. David Garrard Lowe is a well-known lecturer, cultural historian, and author. His articles have appeared in, among other publications, The New York Times, The Wall Street Journal, American Heritage, House & Garden, and City Journal. 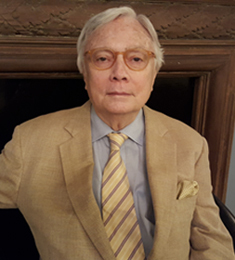 His books include Stanford White's New York; Beaux Arts New York; Chicago Interiors; Lost Chicago; and Art Deco New York, published by Watson-Guptill. Mr. Lowe has lectured widely in the United States and Europe, at New York's Metropolitan Museum of Art, the Cooper-Hewitt Museum, the Smithsonian in Washington, the Art Institute of Chicago, the San Diego Museum of Art, the Newport Preservation Society, the American Academy in Rome, on cruises in the Mediterranean, and crossing the Atlantic on Queen Mary 2. Information about membership may be obtained by writing to or calling David Garrard Lowe, President, or Linda Zagaria, Executive Director, at the address or telephone number above, or sending email to beauxartsalliance@verizon.net.